John Foley is a veteran technology executive and entrepreneur, having previously held senior positions at companies like Citysearch, Evite and Barnes & Noble (where he led e-commerce). 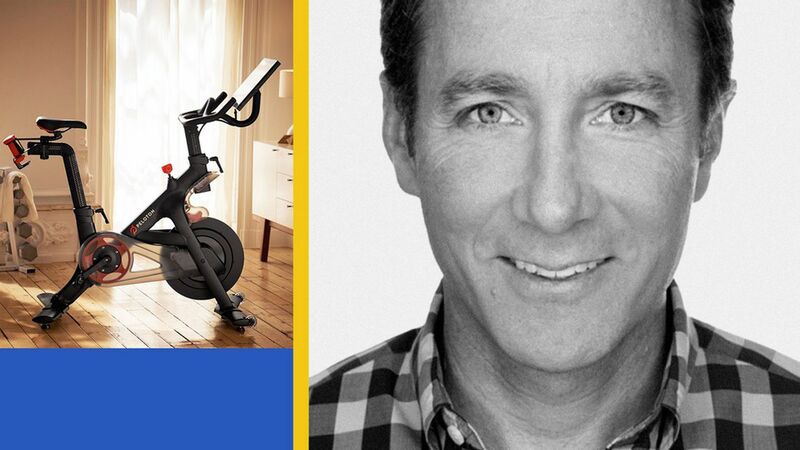 Now he runs Peloton, a so-called Netflix for bikes that effectively offers professional spin classes in a user's home. If that sounds familiar, it may be because you saw the company's store in your local shopping mall, or one of its recent spate of television commercials. Peloton is best known for hardware, but it's more a software and media company. The company generated $170 million in revenue last year. Last month it streamed one million rides. Monthly subscriber churn is just 0.3%. Peloton discussed bringing rivals Soul Cycle and Flywheel onto its platform. It pays its instructors 3-4 times the market rate, plus bonuses. Is Peloton a hardware or software company? For sure we're a software company. The entire leadership team comes from consumer Internet… We decided to get into hardware because we didn't think there was any existing hardware that was good enough. So we went out and decided to make a bike and make a big tablet for it. But what differentiates us is the software, which includes the streaming and the gamification and the network. We're also a media company on top of that, because we're streaming 12 hours of live TV content each day and have another 4,000 classes on-demand. It's kind of like how Apple was before all the services went to the cloud and the handsets basically become dumb terminals, plus CPUs and smart-chips. Will you also have to open up your walled garden for third-party content? We've played with it, and even talked to Soul Cycle and Flywheel, asking if they wanted to have a channel. We were open to the idea, but they were not. A couple of years ago we also leaked out on Reddit how to unlock the device and download Netflix, but there haven't been a lot of people asking for it. Overall, I do assume that content in this area is going to massively heat up in the next year or two, including among all the traditional stationary bike manufacturers who have realized that people don't want to stare at a wall and motivate themselves. That's why we're capitalizing to be very aggressive. Speaking of capitalization, will you comment on the Bloomberg fundraising report? I'm not going to discuss that, but we tripled the size of the company last year and plan to do so again this year. Tripled in terms of what? We went from 20,000 bikes to 60,000 bikes and $50 million in revenue to around $170 million. We also have 99.7% monthly retention on our subscriptions... We're also doing more and more of our own logistics. We currently have three Peloton/Mercedes Sprinter vans in three cities and rolling out another seven this year. That means people will get bikes delivered by our people, who will set them up, put cleats on their shoes, hook up the WiFi and even answer questions about different instructors. It's UPS meets Apple's Genius Bar. We currently have a 93 net promoter score and, I know it sounds crazy, but I want us to get to 100. Peloton has lived its entire life in an economic recovery. How do you sell more $2,000 bikes and $39 monthly subscriptions if things turn south? First we're going to take some sticker shock off the table by launching a three-year financing plan on the bike. We're also going to market how Peloton is an investment that scales inside your household. A couple can both pay for Soul Cycle classes or monthly gym memberships, or they can share a bike and pay $39 per month for unlimited classes. We think it's actually the perfect product for a recession, because it's cheaper in the long-term than the alternative. Another alternative would be riding outside. Are most of your sales in cold weather states. That's what I originally thought would happen, but Dallas is actually our best store right now. When Soul Cycle filed its S-1, they came under some criticism because 97% of their revenue was in three markets. For us, only 27% of our bike sales are to New York City and California. It really speaks to how much demand there is across the nation. If you're a media company, in part, then your instructors are the talent. How do you recruit and compensate them? We streamed one million rides in the last 30 days. If you're a spin instructor reaching 50 people in a sweaty basement, you want a chance to reach that kind of audience. We also pay three to four times more than market rate, plus a performance bonus where the top ones get a little bit more. We also care a lot about our culture, so retention hasn't been a problem. In five years from now, if other platforms like ours emerge, we'll have to continue to maintain that culture and make it even more attractive. One big way to do that is continue to improve the software, which makes the experience better for both users and instructors.